Home / Entertainment / Lovers Of Fela, Felabration Night Is Finally Here, Save The Date! 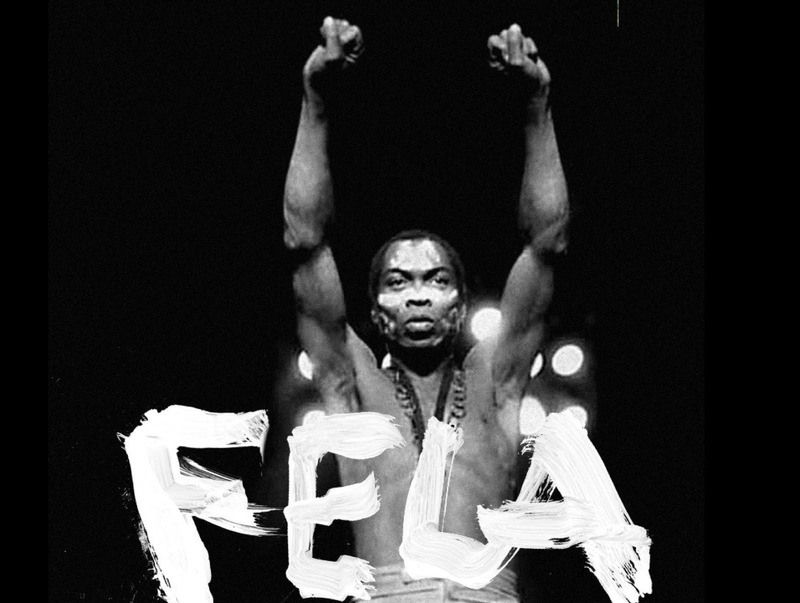 Lovers Of Fela, Felabration Night Is Finally Here, Save The Date! 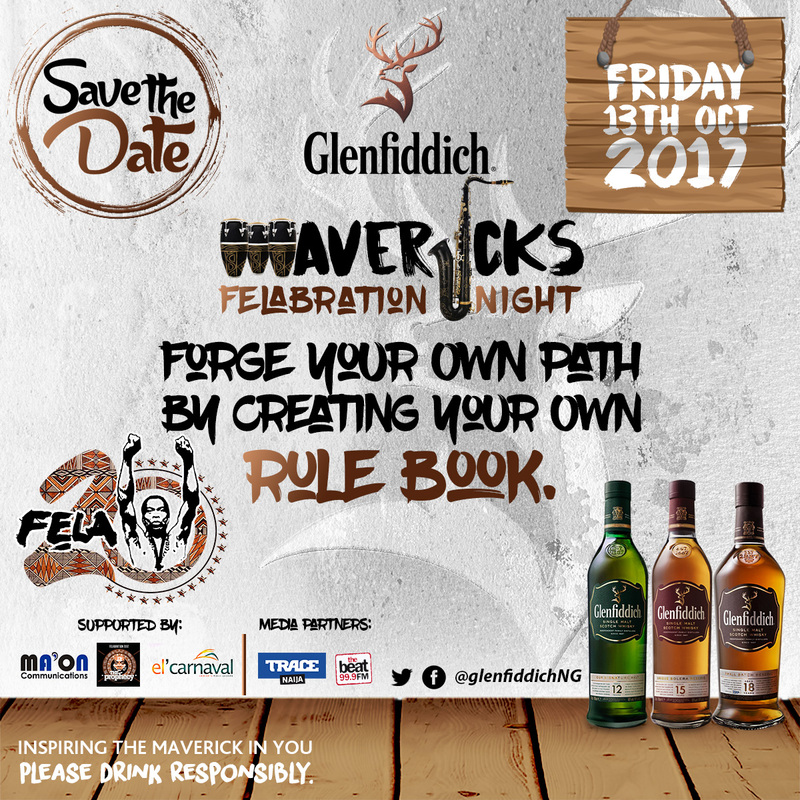 Experience Felabration Night, like never before with the Glenfiddich Mavericks on Friday 13th October, 2017. Glenfiddich will host a first of its kind event at Federal Palace, V.I, in collaboration with the highly anticipated annual Felabration celebrations and this event is centered on the Glenfiddich Mavericks campaign, which aims to celebrate people who are bold enough to forge their own path, create their own rule book, adopt unconventional creative thinking and excel greatly in their own space. As the “World’s #1 Most Awarded Single Malt Whisky” Glenfiddich endeavors to bring together the Maverick spirit of Purpose, Ingenuity, Charisma & Mastery. It promises to be an unforgettable night as the legend and music icon, Fela who embodies the key message of the campaign will be honored and celebrated. 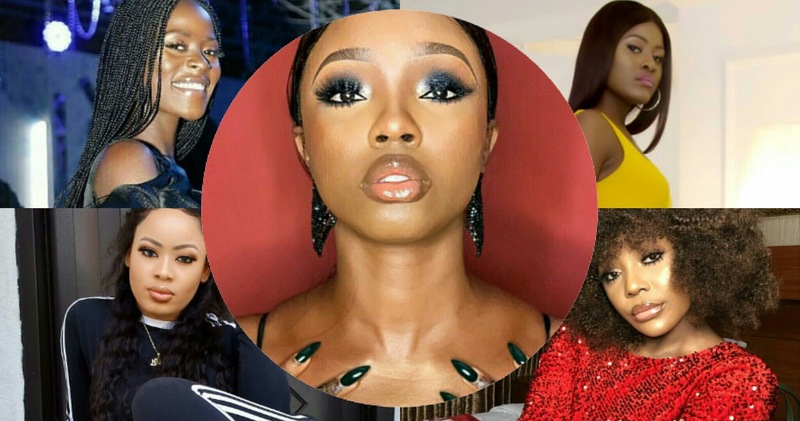 With thrilling and electrifying performances, four great acts are lined up to give a stimulating and memorable experience. Save the date and come along to experience the Felabration night with the mavericks like never before. Follow @glenffidichnigeria on instagram to win tickets before October 1st.